John Varvatos’s passion for music has driven him from the get-go — a constant inspiration since his early days growing up in Detroit. John Varvatos is a Greek American men’s sportswear designer who cut his teeth at Ralph Lauren and Calvin Klein. These “chukkas” in trendy oxblood suede with tire treads, are from his pre-fall Star USA collection, the lower priced line, landing at $225 at Harry Rosen. Snag now to wear late summer with denim, chino or corduroy. 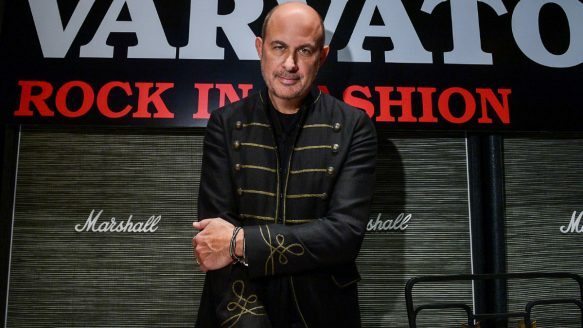 Fashion Designer John Varvatos attends the opening of his new Toronto store and the launch of John Varvatos: Rock in Fashion book at the Yorkdale store.